ExpressLane now offers closed captioning. Amarillo Municipal Court joins ExpressLane's growing e-filing network in the state of Texas. 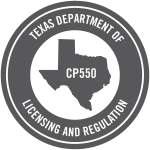 Forney Municipal Court becomes the latest Texas court to join ExpressLane's growing e-filing network.